Unique thought, Unique way, Unique people – I am so happy to meet people like you who knows the importance of animals. You guys are an example for other people. These people in the picture are taking a good care of the local dogs in their area and they knows what to do. 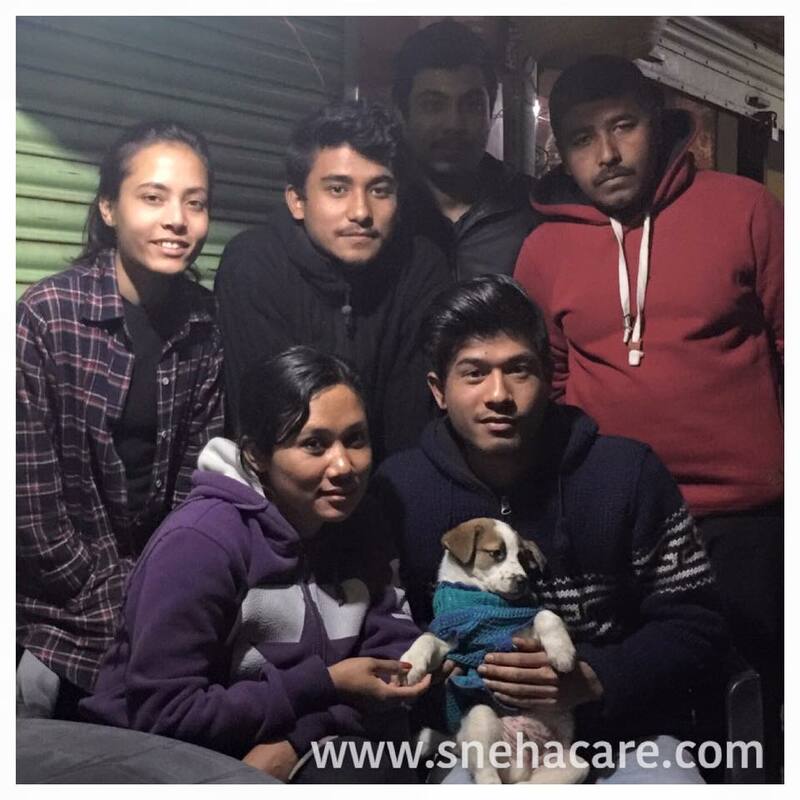 They invited me to meet them and one of the puppy got adopted by Mr. Sushant (The one holding Puppy). I always dreamt of seeing people taking care of the street dogs in their own premises. Why not everyone start taking care of street dogs in your own locality so that there will be NO CRUELTY AGAINST ANIMALS anywhere in the country. Ms. Sneha Meeting with Mr. Sushant and the team.